Summer fruit is hitting the markets and I am in pie heaven. There are so many beautiful choices now and the combinations to put into a pie crust are endless. 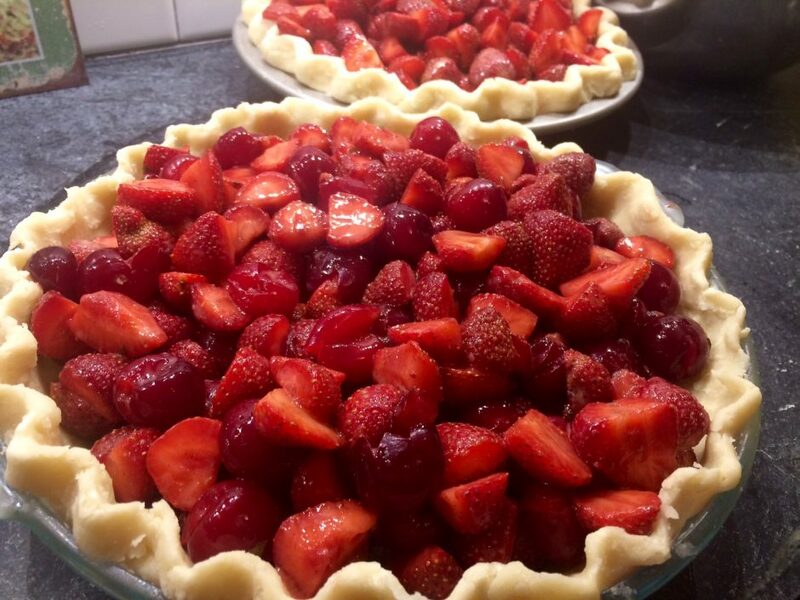 If I wrote a recipe for every fruit pie I made, you would see that the foundation for each one is the same. So, rather than give you lots of variations of the same recipe, I thought I would give you the base formula for building your perfect pie. Pie Eyed is all about helping you make pie and enjoy doing it. We want your pie making to become intuitive so you can be one with your kitchen and crank out pies like a rock star. Less stress, more zen. Learning the mechanics of a successful fruit pie will free you of recipes and allow you to get creative as you find new things available at the markets this summer. Fruit, sugar, lemon, vanilla, cornstarch, spices, rinse repeat. No measuring of fruit. I just eyeball what seems like enough fruit to fill up the pie shell and place it into a bowl. Sometimes it’s heaping and sometimes I run out of fruit and it’s a shallower pie. Oh well! I grab the bag of sugar and sprinkle a light coating over the fruit – about 1/4 cup. I don’t like to use a lot of sugar. I slice open a lemon and squeeze one half over the fruit. If I want vanilla (I’m a vanilla fanatic to the answer is always yes unless I’m using rhubarb), I put a couple of splashes in and toss the fruit. Using a small ramekin, I put 3T of cornstarch, dashes of any spices I want (Cardamom with peach! Cinnamon with berries!) and a little sugar to get it mixed together. Sometimes I use brown sugar if I want a deeper flavor. Dump that over the fruit, mix well and place into the pie shell. Bake at 375 for about 40-45 minutes. Here’s to a summer filled with the best pie ever! 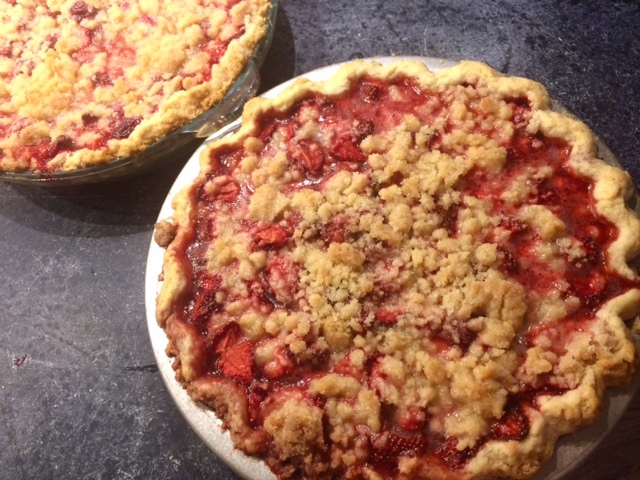 One thought on "Your Formula for Summer Fruit Pie"